If you want to accept payments online, you need a payment gateway to process the card payments and a merchant account to accept the money. Or, at least, you did. Now, there is a new breed of service that merges the function of a payment gateway and a merchant account into one service. One of those services, Stripe, launched in 2010, amid promises to overhaul the online payment industry and provide a simpler alternative for merchants. 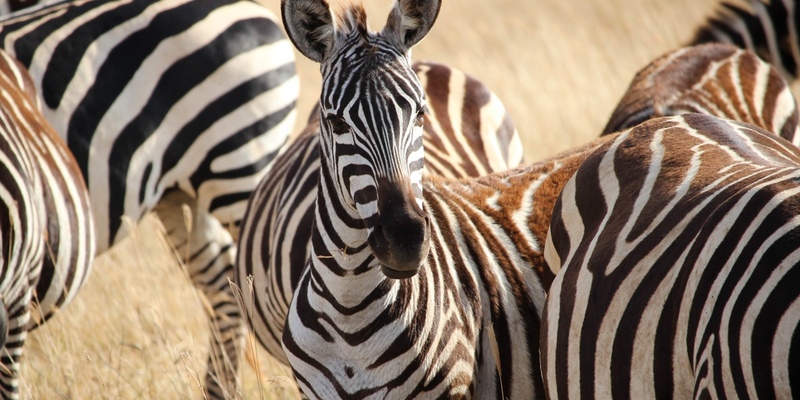 In this blog, we’ll look at how Stripe works, what it charges and whether it stacks up against more established competitors. If you want to see how much you could save on your online payment processing fees, jump over to our comparison engine. Most businesses could save up to 40% on their current deal and it only takes two minutes! Click here to get started. Because Stripe provides both the payment gateway component and the merchant account component, it quotes one simple charge that covers everything. If a customer buys a new laptop online for £200 using a Visa debit card from Santander, Stripe charges £2.80 plus an additional 20p, making for a total payment processing charge of £3. 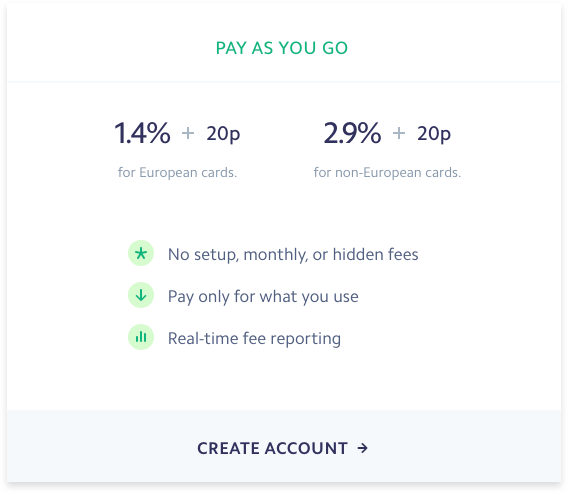 Stripe charges 1.4% + 20p for all European cards and 2.9% for all non-European cards. In the sections below, we’ll look at how Stripe’s pricing structure compares to other online payment options. How does Stripe compare to other integrated options? Stripe wasn’t the first integrated payment option. That was PayPal. Since launching in 1998, PayPal has quickly established itself as the name in easy online payments. Like Stripe, PayPal provides both the payment gateway and merchant account elements for online business. And like Stripe, PayPal charges one simple fee. Here’s how the two integrated options compare. It’s pretty clear that Stripe is winning the battle of the integrated options, offering a significant saving over PayPal. However, if Stripe is going to establish itself as a real option for merchants, it needs to remain competitive when compared with the traditional approach of separate payment gateways and merchant accounts. How does Stripe compare to other payment options? In this section, we’ll pit Stripe against an example combination of payment gateway and merchant account to see which is the best deal. Before we get started, though, it’s probably worthwhile introducing all the charges and fees that we’re going to talk about. Here are the big ones to watch out for. A charge levied by your payment gateway provider, usually charged as a monthly fee for a certain number of transactions. For example, £19.90 for 350 transactions, which works out at 5.6p per transaction. Your merchant account provider will charge a percentage of the transaction value. This fee is usually broken down by payment type. For example, 0.8%–1.0% for debit card payments and 0.3–0.4% for debit card payments. A lot of providers will advertise blended pricing (a combination rate that includes payment gateway fees and merchant account fees) but this is rarely the best deal for merchants. Always ask for separate fees to get the best deal. Definitions out the way, let’s see which option comes out on top. * Based on a monthly charge of £19.90 for 350 transactions. † Based on average merchant account fees. As you can see, the combo approach comes in 77 percent lower than Stripe’s costs. When you multiply that saving across an entire business for years or decades, it represents a colossal saving! So, we’ve discussed what Stripe is, we’ve explained how much it costs and we’ve compared the payment option to both integrated and combo alternatives. Now it’s time for the big question: Is Stripe worth it? Like all integrated options, Stripe offers a small convenience (one product over two and a simpler pricing structure) for an inflated price. The convenience of an integrated option lasts for a few weeks but after that it’s just another nut and bolt of your business. The pricing, however, will linger forever, unnecessarily draining away cash, until you eventually change provider. Now, there’s one thing we haven’t mentioned about Stripe and that’s its technical flexibility. It’s one of the only payment services specifically built for developers and that makes it really attractive if you’re doing weird, wonderful and complex things on your website. However, if you aren’t doing anything particularly complex, it’s really difficult to justify the increased fees. To see what payment gateway and merchant account options are available to you, click here to go to our comparison engine.